Now that electronic boarding passes are the norm, the checking and tagging of luggage is one of the last remaining vestiges of the old, time-consuming check-in process. 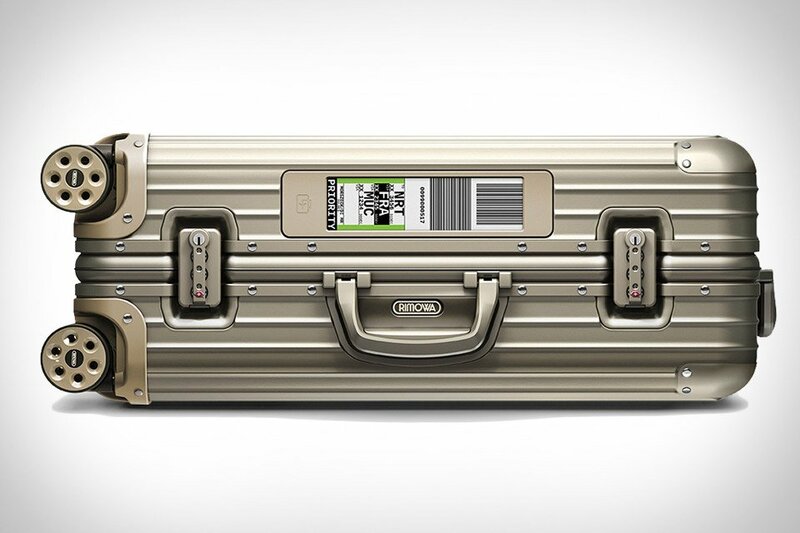 The Rimowa Electronic Tag aims to bring it up to date by doing away with those flimsy paper tags completely. In its place in an E Ink display that’s the same size and appearance as traditional tags, but can be loaded onto your luggage via Bluetooth, allowing you to check your bag in the same way your check in yourself: wirelessly. You’d then hand your checked bag off at an autonomous station, giving you one less line to stand in. The feature is available for several of the company’s most popular lines, including the Topas, Salsa, and Limbo, and will be rolling out for Lufthansa flights soon, with other airlines to follow.